The National History museum has been founded in 1973. 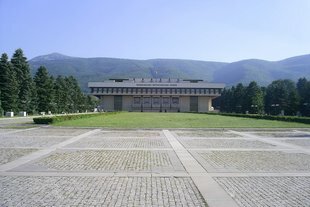 It is one of the largest history museums on the Balkans and the largest museum in Bulgaria. It keeps cultural history of Bulgarian lands for 8000 years until today. 5 exhibition halls contain the following major exhibitions: Prehistory, Ancient Thracia, Middle Ages – the First and the Second Bulgarian Empire, Bulgarian lands during XV-IXX century, and the Third Bulgarian State – 1878 to present day. Since 2000, the museum is housed in a government residence in Boyana.